Another breaking news from Google for Indian users. 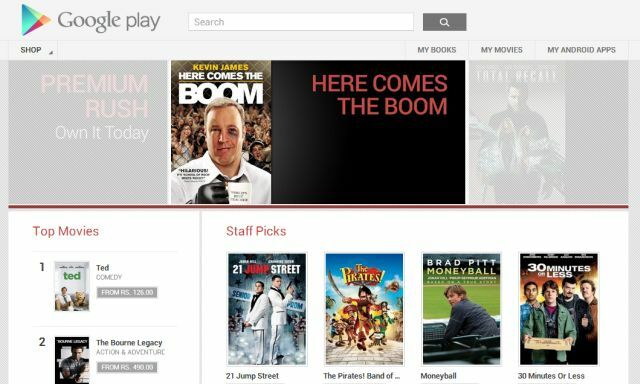 After Play Books, Google India launched Google Play Movies for India users. 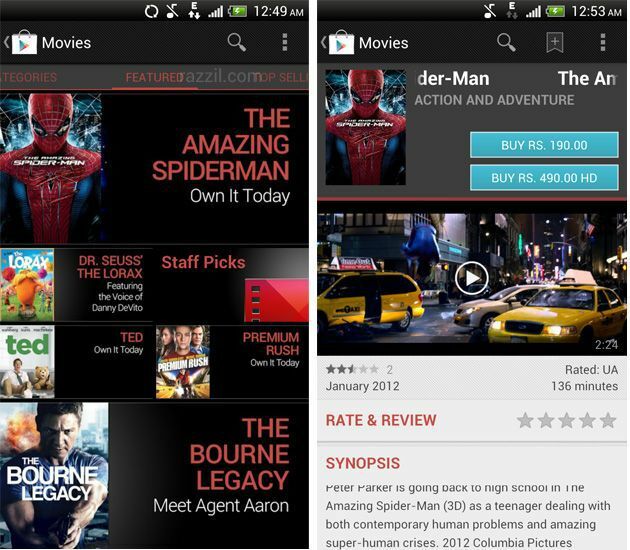 Now India users can access thousands of Movies from Play Store on their Android devices. Users can choose from thousands of Movies on Google Play including HD titles, new releases, award-winning films or your favorite classics. Whether you’re in the mood for comedy, drama, animation, action or a documentary, there’s a movie that’s right for you. Users can also rent Movies or download it on Android devices for Offline viewing. You can choose whether you want Normal or HD Movie. HD movies are more expensive than regular one. Users can access Play Store Movies from https://play.google.com/store/movies?hl=en and you can get the Google Play Movies app from Play store. Google rolled out everything by step by step, First they launched Books, then Nexus 7 and now Movies. This is good news for Indian users as Google giving special treatment to India and no wonder Music and Nexus 4 will join the Play Store. Google put the movies in the affordable price but the user going to accept this? I raised this question because High speed internet is still the biggest problem in India. But one thing is clear, this is the Big step against Piracy. Yes Movie piracy rate is very high in the country. I hope it’s change in the near future.